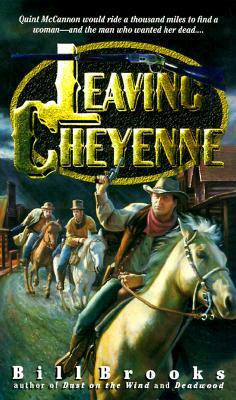 In "Leaving Cheyenne," former private lawman Quint McCannon buys a ranch, hoping to leave behind the detective business as well as the memory of his murdered friend and partner, Ben Beadle. But the ensuing winter shows no mercy for a man hoping to make a fresh start, and his efforts at ranching are ruined. Placing his land on the selling block in the spring, McCannon is surprised by the arrival of United States Deputy Marshal Teddy Blue. The Marshal is searching for one of McCannon's former lovers, Etta Landrow, a woman accused of murdering a judge's son in Denver. His other shocking bit of news is that the judge has little patience or faith in the law, and has hired several elite mankillers to exact justice. McCannon must join the hunt hoping he can rind Etta first, and with her, the truth. In the process, he comes up against tornadoes, bandits, and corrupt lawmen, each only a hair's breadth from ending McCannon's riding days.